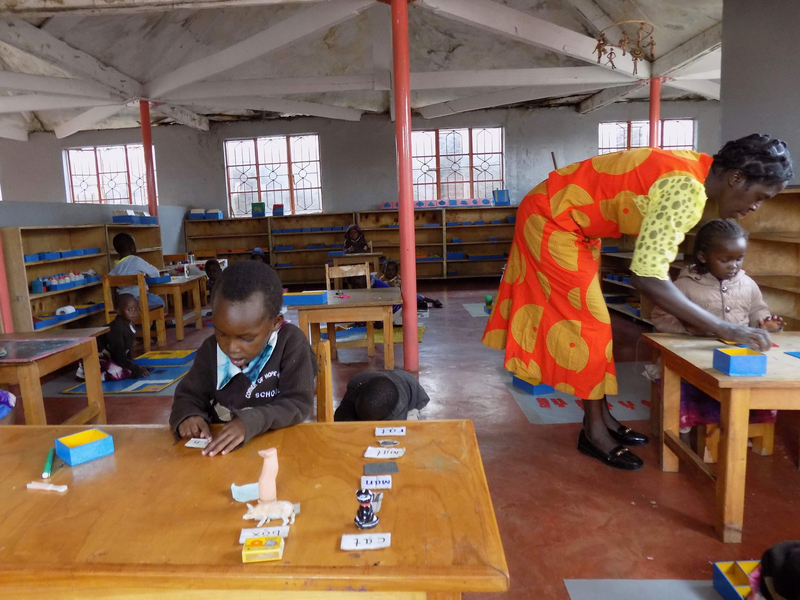 The Corner of Hope is a pilot initiative to show how Montessori Teacher Training and Schools can be delivered to the most vulnerable communities such as those in refugee, transit and IDP Camps. Its aim is self-reliance not dependence, community not school. Self ownership and control, dignity and self worth which all play an important role in overcoming the effects of trauma experienced by the inhabitants of the camps. It has the added advantage of building for the future and creating transferable skills that will accompany both adults and children wherever their final destination may be. The key objective was to engage the community in all aspects of the process, from construction, making materials and teaching. Since 2010, 48 teachers have been locally trained from the Internally Displaced Community at the 3-6 level. 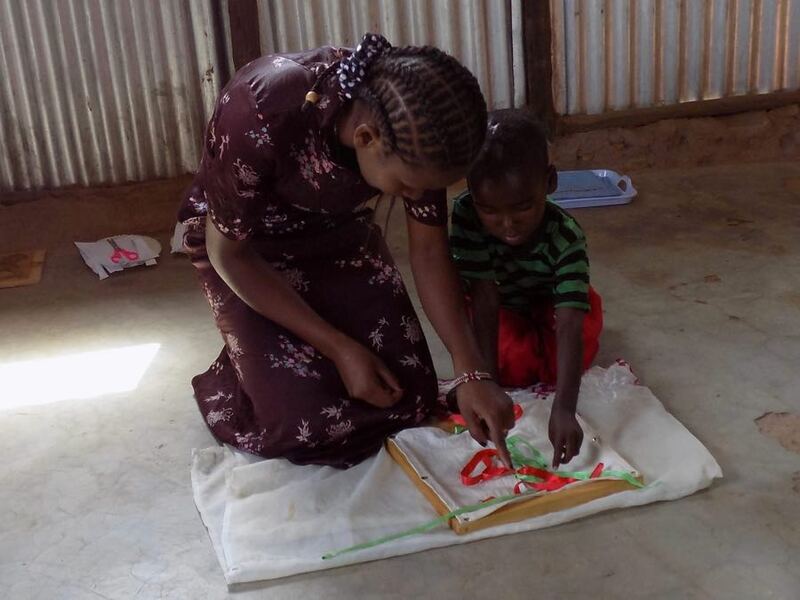 27 teachers have been locally trained at the 6-12 level in the first ever elementary course in Africa, run under the guidance of Jean Miller (AMI Trainer) and mentors Eric Gumah, Eileen Spalla and Poinsy Pino (all AMI 6-12 teachers). 10 teachers were from Corner of Hope, 9 from other parts of Kenya and 8 from Tanzania. 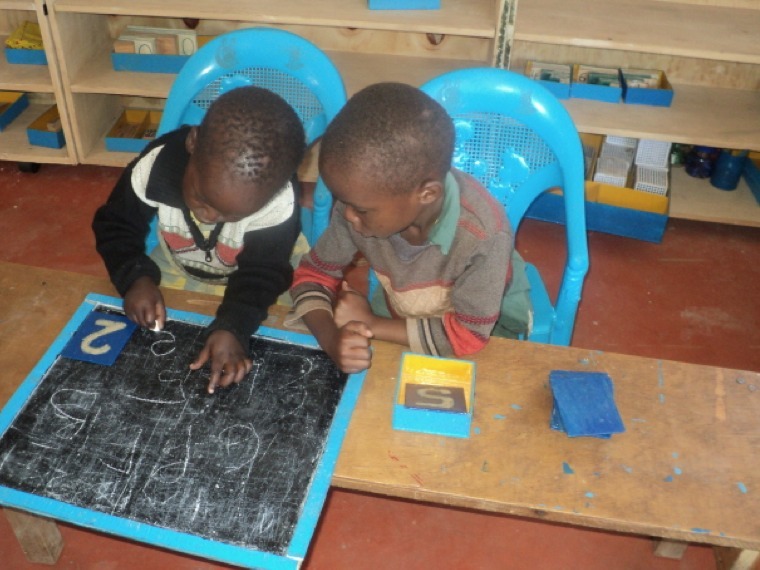 7 years into existence, the Corner of Hope school in New Canaan is thriving and has become a community centre. A second location has opened at a nearby location at the request of the community in Kisima. 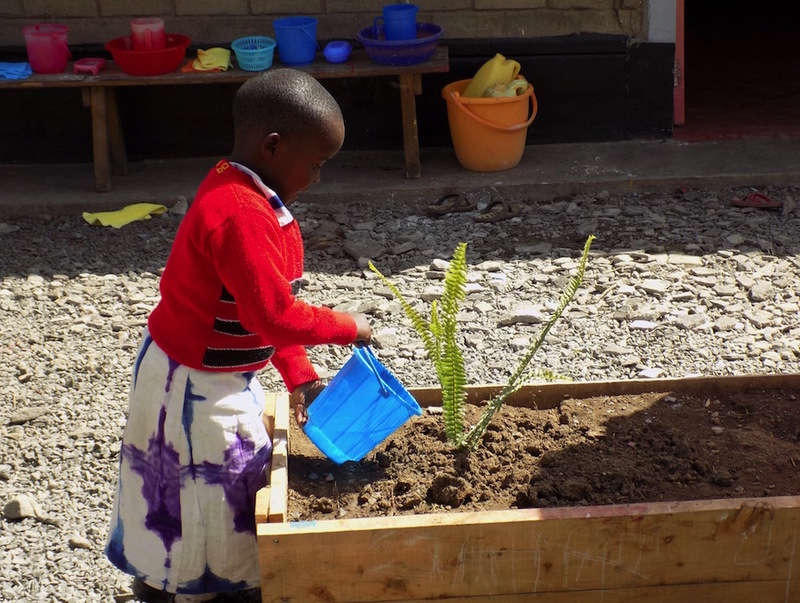 Corner of Hope has become a model for analysis and replication, demonstrating a strong foundation in community, skilled and engaged teachers and flourishing children. The Samburu nomadic school initiative has started in 2018 with a community engagement programme. Four Samburu teachers are undertaking their 3-6 training and two teachers from Corner of Hope have moved to the region and will act as senior members of this new team. A central resource centre will be established in the latter part of 2018 and subsequently the teachers will set up satellite schools that will follow the movement and settlement patterns of the Samburu who, as pastoral nomads, travel for water and fresh pastures for their animals. 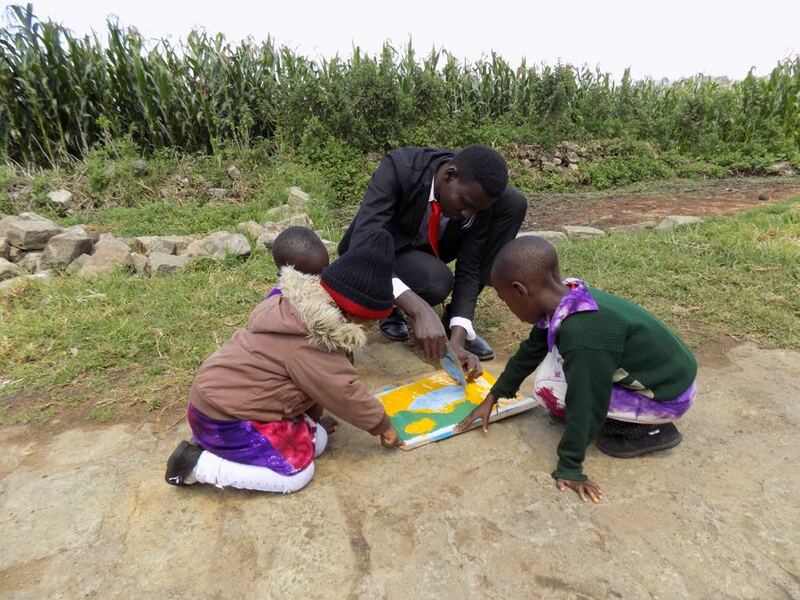 A team of four teachers (2 senior teachers from Corner of Hope and 2 Samburu trainees on attachment) is now based in the Namunyak Conservancy and visits the Ntaparani and Tintil settlement areas to work with the children and parents in temporary Montessori environments. Mark Kirubi, Assistant Teacher in the Public Primary School Nakuru, talks about the 6-12 Course. The children of Corner of Hope perform a play. The Children of Class C of Corner of Hope present a short rhyme.